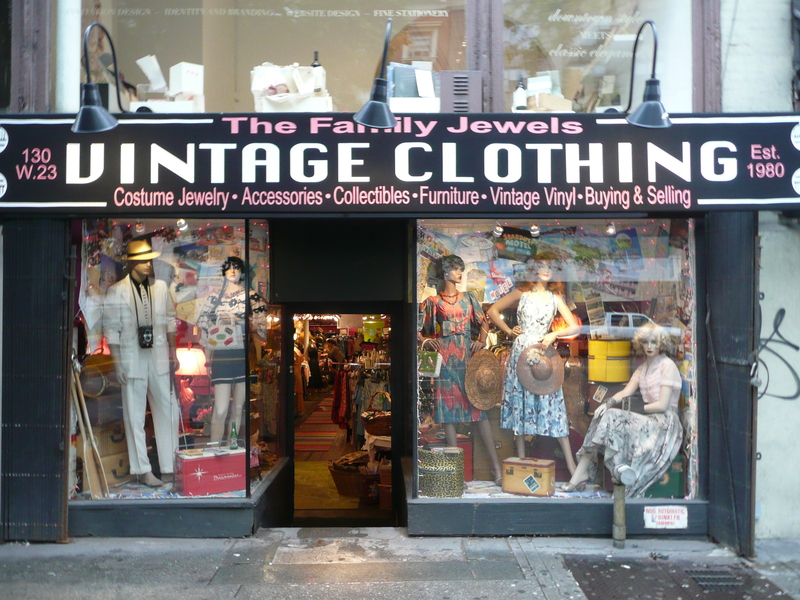 so here we are walking and taking in the sights and I see this cool Vintage store so I say honey I’m going to pop in here…an hour later after searching and trying on a zillion things I made my purchase…a great vintage pocket scarf for my hubby, a dress, and a Fabulous purse! 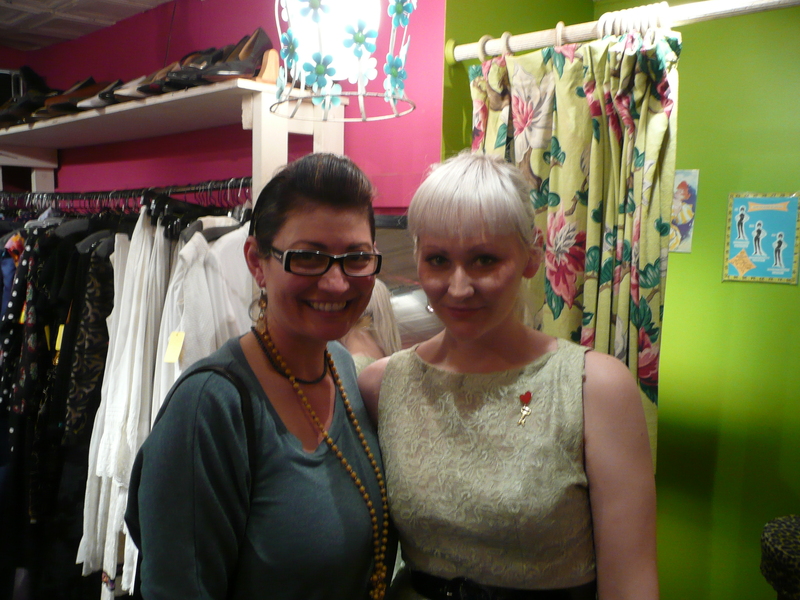 here I am with the sweet salesgirl who was totally decked out in Vintage of course! This store was great! my vintage find is this 1950’s dress in yellows and grays I love all the little details on this dress it looks like something you would find at Anthropologie! Except this is true vintage…isn’t it cool it fits perfect too! 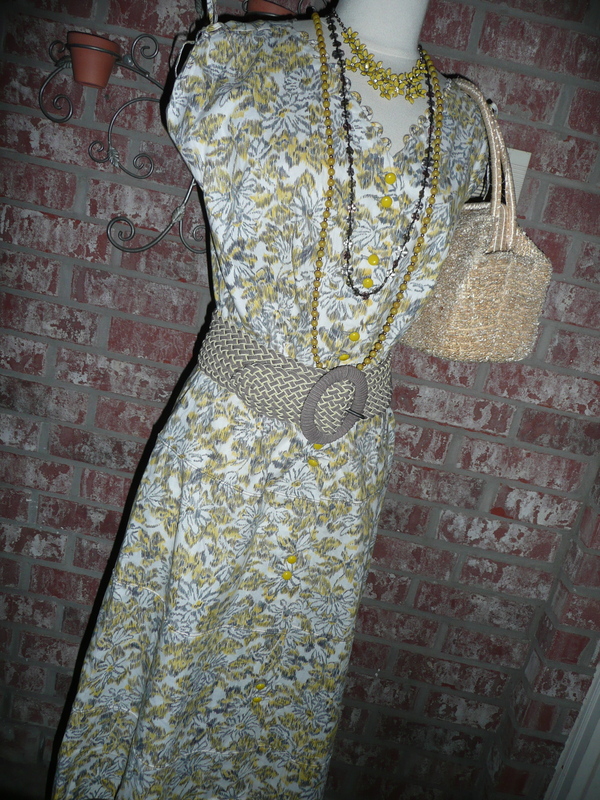 The dress was missing the belt but never fear I found this one on sale at anthro and it works great! They had the most wonderful vintage purses I had trouble choosing but Kevin agreed this one looked like me. 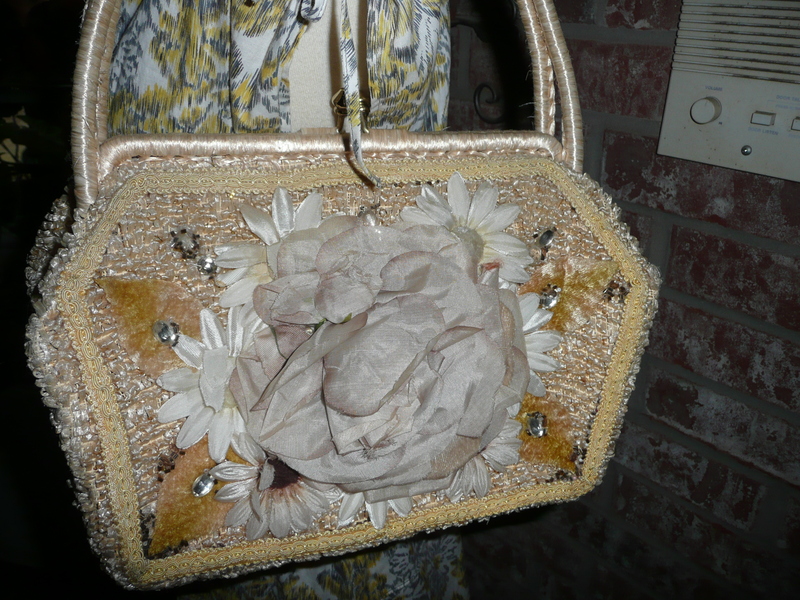 love the flower detail and shape of this vintage purse! 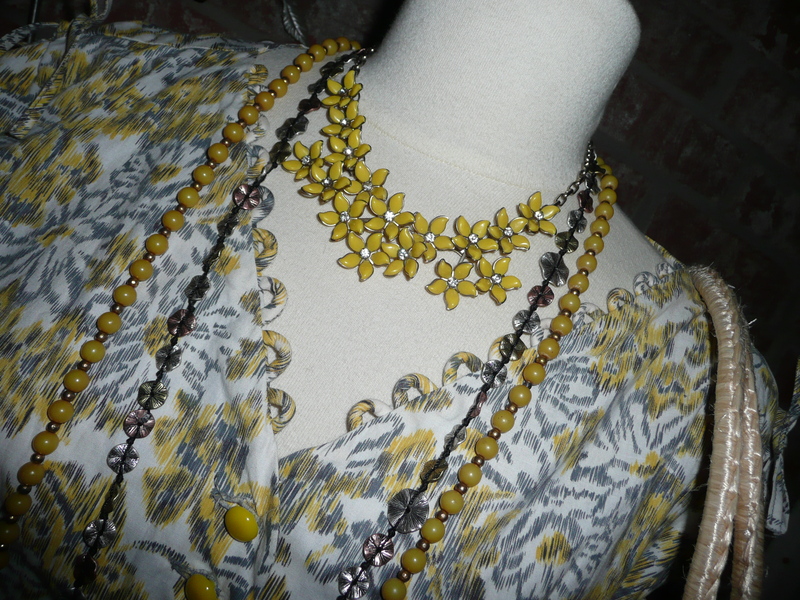 I had these yellow vintage necklaces already and this mixed metal necklace …I know …where’s the Michele Busch Jewelry? I will throw on some of my earrings..hee hee. well you have to finish the outfit off with a great pair of shoes and true to my style of mixing things up…I found these in the village golden yellow …yes please! i’m a shoe girl and these shoes are cool.fun.fab and comfy! This entry was posted in Jewelry Finds, Personal Happenings, Where To Buy and tagged 1950's dress, airport, anniversary, Anthropologie, Belt Anthro, experience, New York, subway, taxi, The Family Jewels, the Village New York, Vintage clothing, vintage flower purse, vintage yellow flower necklace, walking the city, yellow shoes. Bookmark the permalink. 2 Responses to Vintage Clothing…What Did I Find ? oh my goodness–what wonderful finds! and what a cool store! Looks like a really cool store. 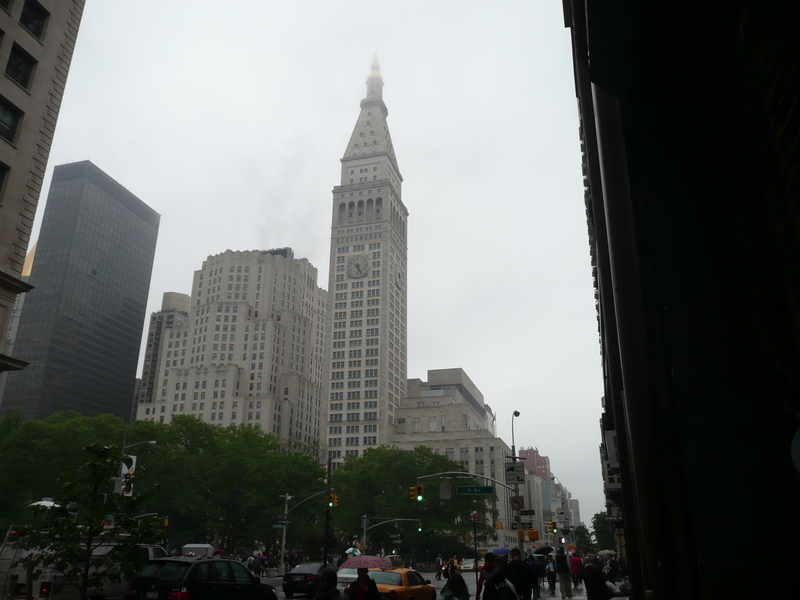 I need to visit on my next trip to NY.